My son is in 5th grade and has an anaphylactic allergy to peanuts and tree nuts. The school has been aware of this since he was in kindergarten. Not until the other day when my son was bullied again by having peanuts shoved in his face, did the school ever mention creating a 504 plan. My son’s treatment was delayed because the school has no process in place for informing new staff (or existing) of his life-threatening allergy. The school never identified my son as a student with a disability, so no formal plan for prevention has never been put in place. Isn’t this required? Can a school district avoid providing education to a student that is “defiant”? The child has a medical diagnosis of Autism and ADD. Child has been sent home numerous times and now is at home since Tuesday. A homeschool teacher is supposed to come and work with the student for 3 hours per week but no one has shown up to work with the student.This is aschool district out of Georgia. Parent has requested SPED testing but was told that they can not provide “that” kind of service for her child. He is melting down. There is not a behavior plan in place. The child has a 504 plan. Any help getting an advocate for this mother would be very helpful. Mother is paying for a psychiatrist. School won’t take him back until he is no longer defiant. The child has a 504 plan so the school cannot just keep sending him home. There is a reason that he is defiant. Tell the mom that she should get full evaluation done on her child. From there she can go for an IEP along with a functional behavioral assessment (FBA) After that she can put together a behavior intervention plan (BIP). Not educating the child is denying him a FAPE free appropriate public education. Homeschooling 8th grader. Twice private testers diagnosed reading disability and the school refuses the diagnosis. District tested in 7th grade WIAT V scores VCI 124, VSI 108, FRI 115, WMI 97, PSI 56. That’s a spread from 95% to 0.2%. They diagnosed Written Expression and Processing Disorder, but did not drill down. 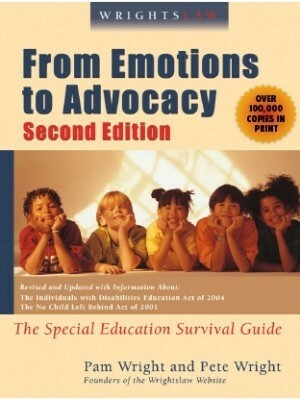 Advocate force a reading assessment and he was reading at a 3rd grade level (4 years behind), and they still refused a Reading Disability Diagnosis. Private eval shows Comprehension drops to 50% if he has to read, and the reading specialist is surprise he doesn’t incorporate information from reading when he writes. When he tells teachers he can’t read, they tell him he can. District says he struggles from dysregulation so the focus of his IEP is social work, not education. Ruby I would get an independent assessment for your daughter to target the area she is having difficulty in. It sounds to me like they should have modified your daughters IEP instead of exiting her from it. 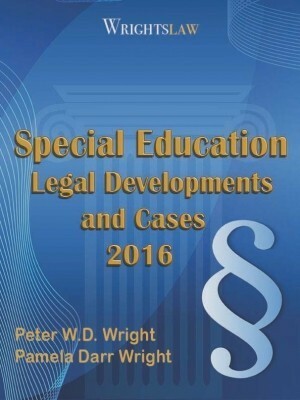 Have you asked for a 504 plan to address accommodations for her disability? It could be that she does not require specialized instruction but rather accommodations such as extended time and shortened assignments. My son attends a private school in Florida. Last year he struggled in Algebra due having several substitutes and even students teaching. His grades dropped and I expressed my concerns with the principal. I reached out to the guidance counselor to refer me to a Psychiatrist to possibly adjust his ADHD meds. Prior to school starting I expressed my concern of him not being prepared due to last year and the teacher stated that she and the math dept were aware of what occurred and would be spending more time “catching” the students up. The 2nd day of school she tested them and he made a 40 and it counted. I met with the teacher and principal again. Teacher was aware of his ADHD but said he had no plan. They referred me to get an updated psychological b/c his is old. Costing me $600. Help! Contact the public school system where the private school is located. They are mandated to do the evaluation so you would not need to pay for a private one. I have a question. I’m currently working as a preschool teacher at a place that was formally a daycare. I have 2 children that have providers push in. However these providers come in the afternoon and the majority of the time the 2 are still sleeping. The director keeps telling us to not let the providers wake the children up. However if we don’t then these children won’t get the services 95% of the time. Additionally these times are outside of the “rest time” required by the school district. Is it legal for her to tell us that? I feel like it’s interfering with the services. The director is wrong on that. There is no reason those kids can’t wake up a bit early. I work in a daycare center myself and this has happened. We had a little boy that received services but she could not come until 2:30. Guess what he wok up at 2:30 and got his services. It is interfering with the services. These providers may not be able to get to the place any earlier. 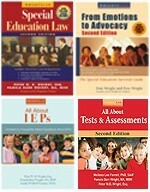 If these services are in the child’s IEP, the services should be provided for the time listed. The parents could request that missed time is made up. My daughter began failing core classes after being identified as highly gifted. This was due to an onset of dibilitating migraines. She was also sexually assaulted in the classroom by her math teacher, as were dozens of other girls in the school. He was arrested in 7 counts of Felony assault on female students in the classroom over the course of three years. My daughter’s neurologist believes the sexual assault could be the root cause. I requested testing and evaluation for my daughter after I learned she began failing classes. The school refused any and all testing and screenings. The state of North Carolina is upholding the “team” decision, and chastised me for leaving the mtg at the agreed upon end date to get to work. Is any of this legal? Who monitors the State? Did the school say in writing why they were not doing the testing? Schools are required by law to tell you in writing.You do have remedy. You can get your daughter evaluated and the district will pay for it. As far as the assault does she have any type of counseling. That could also be aservide that could and should be provided by the school. I am not sure who monitors the state. 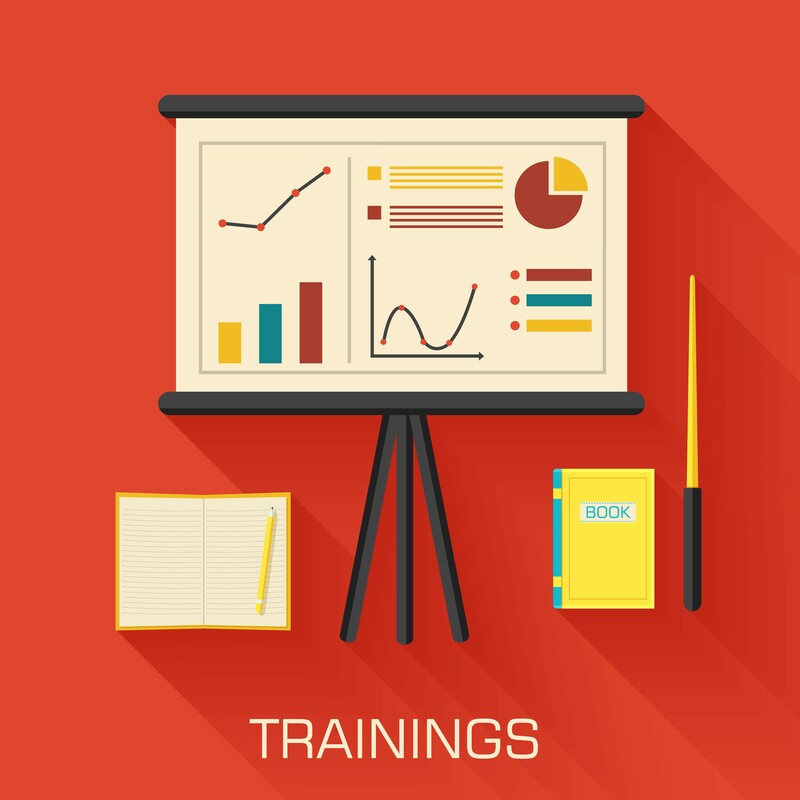 You may also want to check out your state and parenting training center. My daughter is 5 and she goes to a Texas state public school. They have complained about her hyperness as well as many other things. And have stated she not mature enough. They refuse to test her for any issue she may or may not have. What can I do to help her? 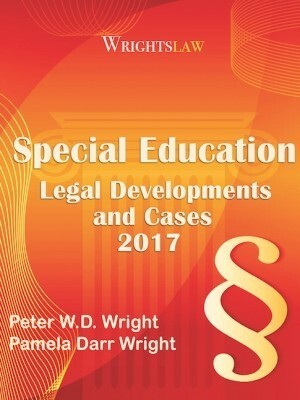 In writing, state that you a requesting a direct referral to special education to address (list your specific concerns). Request a meeting be held within 10 days to address your request. Tell the school, if they refuse to test, you need that in writing. At 5, a child should be evaluated for any developmental delays (to include: cognition, communication, adaptive, motor and social/emotional- this last one addresses hyperactivity). We did not give permission for this exam. How can they just give exams? Now we have to follow up with the county. Um, she’s wearing glasses. Which means she’s been seen by a doctor. Is this legal? Two very upset Michigan resident parents, who do NOT give the schools permission for anything health wise for our children. In my school district, school wide hearing and vision screenings are given to all students in a certain grade and parent permission is not needed since it is for the whole grade. My 5 year old was receiving speech therapy through the public school in our district. We ended up transferring him to a private school for personal reasons. The public school is now telling me that he is no longer eligible to receive speech therapy since he isn’t attending the public school. Is this true? What about the property taxes that I pay? I am still new to this but I want to take a shot and answer your question. I believe the public school is still required to provide the speech services. 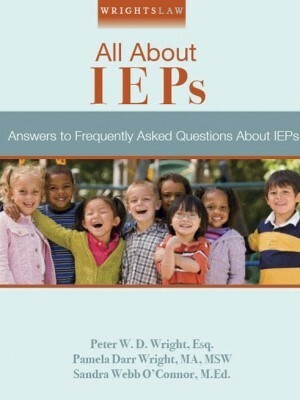 Is your child on an IEP? If he/she is then the IEP should have followed them to the private school. I am also wondering if they are paying for the school. That maybe why they are saying he is not eligible anymore. You may want to talk with you state and parent training center. My son is about to be 15 next year and they have him in 7th grade I have ask the school over and over to have him tested because he have a hard time with his math and keep failing him is not helping him it just make him want to drop out it is so sad to see your child struggle and you can’t get any help. what to do? My son has adhd. 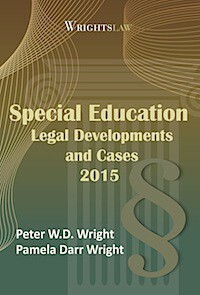 My husband asked the school to test him for a learning disability. The school refused and stated they can tell by looking at him that he doesn’t have a learning disability that he just needed more discipline. Mind you my son is very well mannered. He just has trouble focusing and paying attention. Since then my son moved to Ohio with me. The 2nd week of school a letter was sent home for me to sign. He is having further testing done due to suspicion of a learning disability. Do public schools have to conduct a comprehensive educational evaluation if a child has already been diagnosed with ADHD by her pediatrician, and is already receiving special educational services? Her psychiatrist is now wanting her to be re-evaluate to determine whether my child truly has ADHD, or a learning disability that is causing her to have attention issues. No, public schools test for eligibility and she is already eligible. If her psychiatrist wants her tested, he can send you to a private psychologist. It is not the responsibility of the school district to test for outside agencies. HOWEVER, you can request a re-evaluation through the school district which could include an evaluation but also could lead to your child being found ineligible for services. 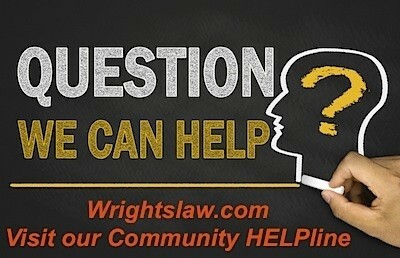 Discuss your concerns with your child’s case manager. You can request testing in writing, & the school must answer in writing, yes or no, & give the reasons if they say no. I suggest writing to the special ed director. They may say that their testing is comprehensive & identifies all of your child’s needs. You have the right to request that they pay for an independent educational evaluation by someone outside of the school. I have been home schooling my son in K12/GCA going on 5th year. He is starting high school and I found out that since he has an IEP, that I should have him registered with the school that he is zoned for and receive services at that school. Which I did and now I have a meeting on the 11th. I do not know what to ask for. My son has aspergers and he will be able to go to some type of schooling after he graduates from high school. What does he need in order to be better prepared for graduating high school? Hi, I am new here. Is this the place to ask my specific questions? or is this blog based on a certain topic? Before you ask a question, scroll through the database of questions from the Community Helpline. You will probably find that your question has already been asked and answered. If you still need answers, you may ask a question by submitting a comment on any post. Use the category listing to search for a topic, or type a topic name in the search box to find a post that has information about your concern. My daughter will in 10th grade this year. I have recently noticed many things that lead me to believe she may have dyslexia. If I request her to be tested through the school do they have to follow through with the testing even if they do not feel she needs to be tested? They do not have to, but must give you written notice of their refusal & the reasons for that response. I have custody of my niece. she has adhd ptsd and alot of learning disabilities due to long term lead exposure and also past neglect. she has been in speech and OT for 3 yrs for speech problems, but the school last yr put her on a 504 plan. I’ve requested for her to continue speech and OT in school so I don’t have to make her miss alot of school to keep up with it. They denied it, said she don’t pass their requirements, but her psych evaluation and her Drs all state she needs it. how can a school deny when all her outside Drs and therapist state she needs it? I contacted a child advocate which went along with the school because they gave her counseling in school. he is and has been in counseling for 3 yrs also. I didn’t need a counselor for her in school. What can I do? I have a child that has been in special education for behavior (ADHD) since preschool. He is now in 2nd grade and his IEP was written at Kindergarten level. Despite annual reviews that showed a significant delay in ELA, reading/writing/comprehension. No academic assessments were done in Kindergaren or 1st grade, and not until his 3 year evaluation came up in 11/2016 and he tested very low in most areas on the Kaufman test. My question: Did the district fail to identify my child as academically behind? I have a son age 12 at the time, mom a special education teacher and IEP expert took my child off two medications 3-4 days prior to the.evaluation to show he was “not right”. Then tried to blame it on me in writing a few days later, he did end up with an IEP that turned into a in-house stay at Northern Illinois academy for the school year, question is can she get into trouble for lying and shady actions to get the IEP, WHO REGULATES THIS ISSUE? My daughter. Has ADHD and was diagnosed in kindergarten she has always struggled in school.this year was worse than any year so far. I was clueless from. October to May. I asked for help she doesn’t understand her mathematics she made the jv cheer squad and now is being told she can’t be on the team because of her math grade. I just found out she could be tested. For help. What can I do . There is supposed to be a system in place for staff members to refer a student for a possible evaluation. You shouldn’t have to approach a parent and discuss it with them. Tell your administrator and let him/her get the ball rolling. These questions have helped me on how the systems works. I am confident in walking into my sons IEP meeting & not being blindsided. 30 yrs since my own IEP, it was special ed in NYC. IT was one shot deal. My parents had issues w/ the program, couldn’t change so I had to leave resource room & special ed and Return to main stream w/o further help from 2gr . Awful, being dyslexic; prevented me from continuing w/ HS. Now, sadly as an adult I still can’t pass the GED, no matter how many times I prepare w classes. zero adult classroom HS by me. Now, I do wonderfully in class but nothing near me in NJ. So, thank you, going the extra mile, & helping when it’s clearly not easy. I can at least help my child. Help please, my son is now 17 soon to.be 18, I’ve requested he be tested for iep several times. He struggles in math and science, he fails every class, I’ve brought up several times he’s repeating the same thing every term. He’s frustrated. This began at his previous high school where the school refused to enroll them in 9th grade for 3 weeks.since they were on a block.program this set them.back.6 weeks. I’m currently trying to.obtain an attorney to represent them.both.his twin sister has since suffered severe medical.issues. .. How can any of this be allowed in public schools? My daughter has been having behavioral issues at school since K. This year it is getting worse, she doesn’t complete work, had concentrations and impulse control issues, and is beginning to fall behind. However, she is still at grade level. I requested testing to see if there is an underlying issue that is being missed. The school (CA) refused based on her not being behind grade level. Is this allowed? On what grounds can the school refuse testing, and if it is not allowed what can i do? You have to put it in writing that you want your child tested look up IEP request letters!! I was told by my grandson’s guidance counselor in Pasco County FL that the schools do not evaluate for learning disabilities. Is this true? It it legal? No its not true at all. If you ask the school to do the evaluation they have 60 days from your request to do so. I believe you fill out the paperwork with your Education Department and they submit it to the school. If an evaluation should be done at no cost to the parent, why do I have to take off of work for the psychoed? The CSE did not offer to test my child at school. My son already travels an hour to school and the CSE office is about 30-40 min from there. Should I be concerned that I am having to miss work and he is missing a half day of school (due in large part to travel time)? My child was recently diagnosed with CAPD and dyslexia. His school does not recognize the CAPD saying its the same as dyslexia even though I have given them a copy of the Dr’s report. Can I request that my child be tested for a specific learning disability in order for him to get other services? What is my next step to get him more help? Dyslexic is a specific LD and the school should provide services in order to help your child’s needs in each area of impairment! 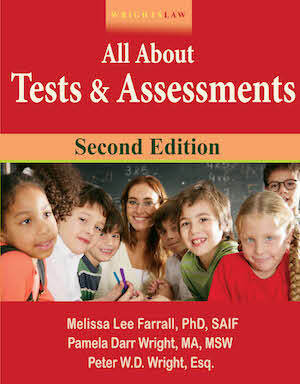 Find out what your child’s weaknesses are and then you can better help him with accommodations in school. Look up the website Understood.org amazing place for help!! Do intermediate Schools in Florida have the right to ask a parent about treatment they are pursuing for their childs ADHD, or ask if they are on medication anymore, or even hint that they should be? My son is currently receiving the multi-tier (MTSS) extra help evaluation, and we’ve been having school meetings. The multi tier help lady seems to be curious about the biomedical treatment, (which is naturopathic)we are wanting to pursue for my son and has asked me if I have any research on it and it’s Effectiveness. I’m unsure if this is something I need to share with them, or if they’re overstepping their boundaries. We have tried ADHD medication and don’t feel comfortable going that route at this time based On the side effects. Thanks! Does anyone know how Arkansas’ mainstreaming of hearing impaired children being mainstreamed into public elementary schools compares to California’s. How long does it take for your child to get evaluated for special ed? I have been waiting a couple of month’s, still waiting. they told me it is still possessing. should I wait? my daughter is in 5th grade and almost getting close for star test. In Texas they legally have sprint days to complete each step. It’s horrible I am in the beginning process myself for my daughter and I had an argument about that same thing with the district coordinator. I have been trying to get her tested for dyslexia for 3 years and they refused each time as she continued to struggle in school. So I’m not as accepting of these time frames. Patty, as a general rule, after parents give written consent, the school has 60 calendar days to evaluate and complete the eligibility process. BUT IDEA, the federal special ed law, says that if a state has a different timeline, they can use their timeline, even if it’s different from 60 days. The range is between 45 to 90 calendar days. The answer to your question is in your state special ed regs and should be provided when you signed consent that I hope you signed for your child to be evaluated. Way back then. I have a question. I have been getting the run around with the school district in getting my daughter tested for dyslexia. Her primary doctor and neurologist stated to me that the school is supposed to do an evaluation on my daughter first. once they do the evaluation, I then can bring the results to the attention of the doctors. The school is telling me that they do not do the evaluation/testing and that her doctor is suppose to run these evaluation. My question is if I requested for the school to run a reevaluation on my daughter are they suppose to do the evaluation for dyslexia? Yes they are but I went through the exact same thing. I asked specifically and just got the run around every time. It took me a year to get an appointment but I was finally able to get her tested at a dyslexia center. Now I have the diagnosis on paper. But the process of getting her help is awful. You have to be very stern and know exactly how to present the request but the center that diagnosed her is guiding me. So if you can save all of her school work that she brings home even tests, report cards to show decking grades, take her somewhere that specializes in dyslexia. We had to go 3.5 hours away. 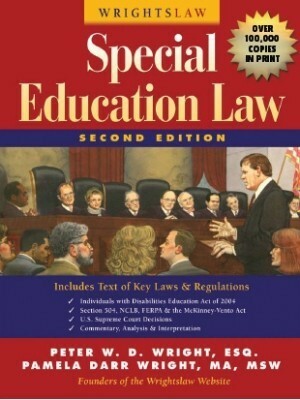 If not get online and look up the laws for your state to see what they are for making them test for dyslexia. I hope this helps. Don’t give up. Good Luck. Thank you! This is awful I definitely agree. I just requested a new meeting for her because she needs another service besides the testing. Jaianne, write a short letter to the effect that you are requesting that the school do a comprehensive special education evaluation on your child, and that your letter is your informed written consent. You represent your child’s interests. You need to educate yourself about what a comprehensive evaluation must include – there is a list of required elements in the law. You also need to educate yourself about your child’s rights and your rights and responsibilities. If you, as her parent, do not advocate for her, no one will. Thank you and I definitely agree with you. Last week I went directly to the special education department and write a letter requesting a meeting. Her annual review is up this year. This meeting will be about the evaluations and another service she needs that do not deal with dyslexia. From everything I read and people that I have talked to I get the impression that schools must perform an evaluation if it is formally requested by the parents. I formally requested an evaluation for reading issues at the beginning of the school year for my son, but received a form and a copy of the IDEA handbook about two weeks later saying that they declined my request to evaluate. They referenced his MAP scores and fluency numbers (low but not quite failing) and said he would continue to receive Title I intervention. I went on to have him evaluated myself and will be receiving a dyslexia, dysgraphia and ADHD diagnosis from an educational psychologist. 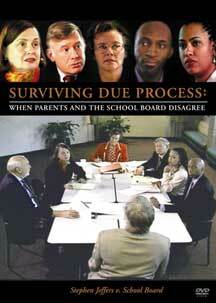 My question is – was the school allowed to deny my request and what recourse do I have since he does indeed have a LD? My granddaughter is 6 and her first grade teacher recognized what she thought was a vision perception disorder and gave my daughter info on where to get her tested. She went and she does in fact have this disorder. Treatment consists of therapy once a week for an hour for 24 to 32 weeks. This is not covered by insurance and the cost is $120.00 per session. Is the school district required to cover these costs if they do not have their own resources to work with her in the school? We live in Pennsylvania. His current IEP should be changed to include the new accommodations. It’s not necessarily another IEP, but you are an important member of your child’s IEP team and if you request modifications for his best interest backed by medical evidence and documentation the school absolutely must comply. Why do the schools want to do another full battery of tests even after my child’s Dr is doing them? That makes no sense at all because the teacher complains about her attention and as soon as I decided to go ahead and have the full battery of tests run, I called a meeting so everyone is on board and in the loop and then they decide they want to do the same after the Dr is done BUT to be sure they get ALL reports from the Dr and I felt like we were treated like morons! Ugh it is so frustrating. Any answers or has anyone else had an issue like this? Yes. I don’t understand it either. The evaluation after a doctor has diagnosed something seems like a waste of time. I’m having a hard time even getting the school to do the evaluation. They dismiss the doctor’s report and act like i am the one insisting on testing when it is their protocol so my child can get the help he needs. Jumping through hoops and getting the runaround is ridiculous. I have a meeting next week set up with the school and my lawyer is coming to push things along. Here i thought everyone is there to do what is best for the kids but they’re dragging their feet because testing is more work. Skip the extra eval a d use the doctors diagnosis then! I suspected adhd in my son for years. He was diagnosed with adhd combination type and dysgraphia. He began medication therapy for the adhd and the report was sent to his school.I called and set up a meeting with the special ed dean to go over the report for him to get accomodations in place the day before school started. She wrote down accommodations and attached the list the neuropsych attached to the report. She told me an evaluation for iep because of dysgraphia would be done within 30 school days. We are 48 days and no evaluation. After many calls and viaits to school, OT called me to say his teacher thinks he is doing fine so no eval needed. Can they legally dismiss a diagnosis? Can i insist on evaluation anyway?